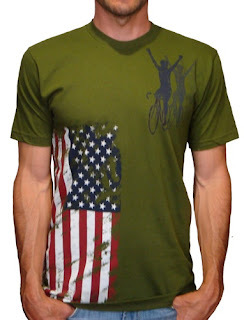 Handlebar Mustache: Stage 3: First 4th of July TDF win for US Rider! Stage 3: First 4th of July TDF win for US Rider! Until today it had never happened, a US rider winning on the 4th of July. 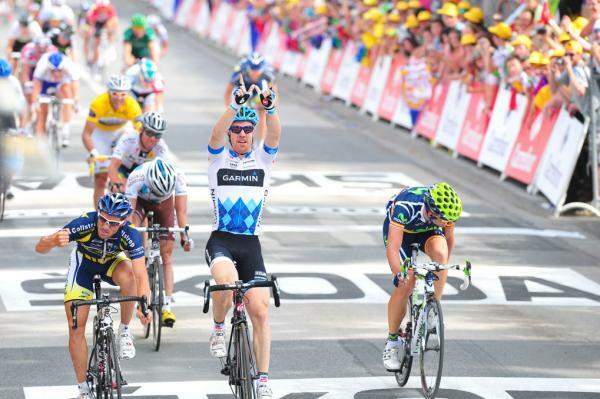 That all changed today with Tyler Farrar winning the sprint in stage 3! As he crossed the line he once again saluted Wouter Weylandt. I agree with Robbie Mcewen's tweet: "Also shows what a great guy Tyler is that in his finest career moment he makes the #W #WouterWeylandt"
Bottomline: Tyler could not have had a better victory for US cycling! Capt. America eating a red, white and blue bombpop, listening to Lee Greenwood, with his girlfriend in a stars and stripes bikini, with a pet eagle could not be more AMERICAN than Tyler was today!